Note: Before buying SILCA I was fortunate to spend nearly 15 years as the Technical director at Zipp. I worked with the most amazing team of engineers and production specialists to create some amazing products. This story would not be possible without the efforts and brilliance (and blood, sweat and tears..literally) of Michael Hall, David Morse, John Fearncombe, Nic James and many others. Please check out the video produced on this by Zipp and other info from them over HERE Thanks Everybody! Also Note: As we enter this Flanders-Roubaix week, SILCA pumps, gauges, tapes, and balancing products will be used by over half the pro peloton unofficially and officially by our technical partner Team Bora. We are thrilled and honored to play a key role in both of these beautiful cycling Monuments and all of the key events of the 2017 Pro-Tour Calendar. One might think that the catastrophic failure of a carbon wheel is a particularly dramatic, loud, or impressive occurrence, but you would generally be wrong. In an ironic twist, you find that impacts at 90% of the energy required to create a failure, can sound like a gunshot, can wrench your handlebars from your hands, or nearly throw you from your bike. However, an impact at 110% of the energy required to break a wheel can feel quite minor, and the failure itself often sounds like a sudden crunching of paper rather than anything very dramatic. Like that, your wheel is destroyed, in a whimper rather than a bang. So went the early days carbon wheel development for Paris-Roubaix. It was 2006 and I was convinced that aerodynamic, carbon wheels could change the face of racing at Roubaix, yet we first had to build product that was capable of surviving the famed cobbles, and even more difficult, we had to convince the riders to actually use it! Looking back, I see that this was the start of my obsession with tire pressures, quality tools, and optimizing the minutia of cycling details. I had spent the previous 7 years developing products for aerodynamic benefits and it had been a long and difficult road convincing top level athletes to use it in good conditions. A project to finish carbon wheels at Roubaix felt like an entirely new adventure involving different skills and new learnings. We began the Roubaix project in 2007 with two teams on tap for 2008, Slipstream and CSC, between them we had access to Magnus Backstedt, Fabian Cancellara, Nicki Sorensen, Roger Hammond and a crop of young and enthusiastic pros looking to find their way in the world. Pro cycling at that point (and still today) was held in tension between old-world beliefs and new world science, often the tension resulted in catastrophic combinations of both worlds. Our focus was to get the more aerodynamic carbon wheels under these riders. We had done some testing with Cancellara in early 2008 at the San Diego low speed wind tunnel showing that 58mm deep carbon wheels would be some 28-34 watts more efficient (at 30mph) than the 32 spoke aluminum wheels they traditionally rode at Roubaix, so there was some interest by the teams and riders, but still far too much skepticism to make it a near term reality. Like the athletes, we believed that the real hurdle to bringing carbon wheels to Roubailx was going to be comfort. The entire world believed that there would be no way to achieve the ‘comfort’ or ‘compliance’ of box section wheels in deeper wheels. Afterall, we all KNEW that deeper wheels were stiffer, and therefore harsher, it had been written a thousand times and was therefore true. So in late 2007 we set out to understand the baseline standards for both durability and comfort in these ‘classics’ wheels. An Instron machine, is generally the cornerstone of any good mechanical testing lab. Instron is the company most widely known for making this type of machine which looks like a large H sitting on a steel table. The machine works by driving a crossbar up or down at a very controlled rate, in the center of the cross-bar is a load cell and a gripper, or a pusher (anvil) which either stretch or crush the object being tested. An Instron can be used to test the strength and stiffness of most anything provided you have clever engineers to build the fixturing. Setting up for radial stiffness test of a wheel with tire. The initial testing was conducted with about a dozen wheels including ptototype Roubaix wheels, vintage Mavic Roubaix aluminum box section wheels, and the 2007 race favorite 32 spoke Ambrosio Crono box section rimmed wheels. After the first full day of testing, crafting new anvil geometries, re-thinking the fixtures, re-thinking everything we could be doing wrong, we realized that we weren’t doing anything wrong at at all: The box section wheels were in fact, radially stiffer than most of the deeper carbon wheels! Now this wasn’t universal, deep rims with V shapes were very stiff, though even then the correlation to stiffness was more stronger to spoke count than to rim depth, with only the original 16 spoke Campagnolo Shamal being the outlier, though with a perfectly V shaped rim, and bladed 14 gauge (non-butted) spokes, this made some sense. However, we found ourselves in possession of data that pointed to the fact that the conventional wisdom of an entire generation of cyclists, mechanics and even industry engineers was just generally plain wrong. In the years since, I’ve taken part in studies and even designed studies to look at these perception vs reality situations and know that perception and conventional wisdom generally win, but at the time, my 2007 brain was blown away by this information. This information really changed the entire vision of the project for us. It was immediately clear that what we believed to be the major problem “how to make a deep carbon wheel as comfortable as a box section wheel” was not actually a problem at all, in fact, most everything we were making was already there. The real problem was going to be convincing the riders of this. With this information in hand, the team built some 20 pair of prototypes and headed to a team camp just outside the dreaded Arenberg Forest. 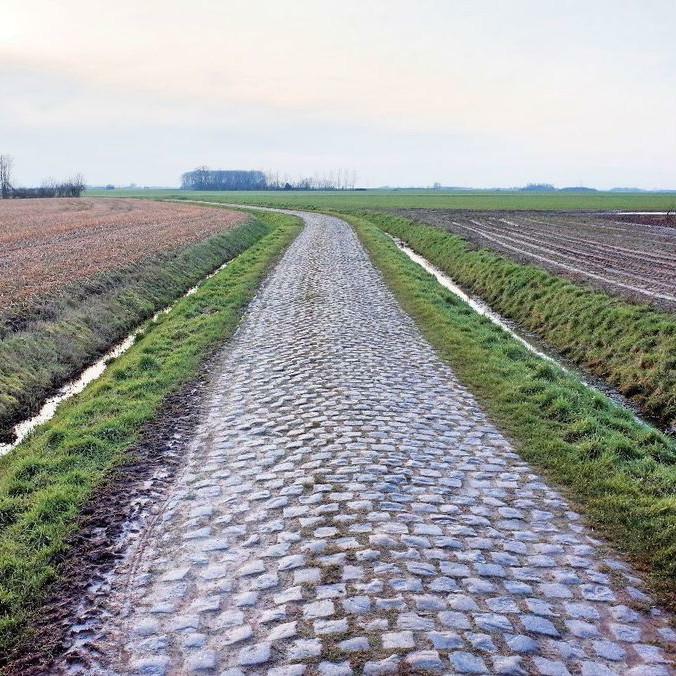 For the uninitiated, the Arenberg is considered the most brutal sector of Paris-Roubaix, massively crowned stones, few decent lines, incredibly narrow, sloppy when wet, dusty when dry, and worst of all, an ever so slightly downhill run-in to the sector which narrows dramatically at the entrance. The top teams put maximum effort into getting their riders to the front, and that means 60+kph speeds as the riders hit the stones. Oh yeah, and occasionally people have been known to steal a stone here or there as a souvenir..making for the most unbelievably dangerous hole in the ground you'll see on any racecourse anywhere in the world. The goal with the prototypes was to build sets of various strengths and stiffnesses to see what the riders would prefer as well as to determine the strength requirements of the rims. The test plan was to have them ride various lines to see if they could break the wheels and also to try and determine the handling characteristic the riders were after. Afterall, we knew that we could make the carbon wheels ‘comfortable’ enough, but could we make them last? 90 Minutes was all it took for 4 riders to break 20 sets of wheels on that first trip. Hard to remember the other details, but unsurprisingly comfort didn’t really come into the equation for this test. Our team was needless to say, devastated. Yet, the testing had revealed some very useful data, and by early spring 2008, we had 404’s measuring equal in radial stiffness to the Ambrosio Crono wheels, but at more than 2x the impact strength of before. An early test with Slipstream showed no issues in more than 40 passes through the forest when paired with 28mm Dugast tires. We were ready! Or so we thought.. I don’t remember much from the day of Paris-Roubaix 2008, but I do remember getting the phone call. “Magnus broke both of his wheels and could not rejoin, we need to talk.” Devastated. For those of you who don’t remember this event specifically, we were thrashed in the media for attempting this. A major US magazine gave us a ‘Thumbs Down’ award for ‘putting sponsor desires above rider’s safety.’ The general lament was why we would ever even attempt this as EVERYBODY knew that it wouldn’t work and that there was little benefit possible, yet so much downside risk. In those dark moments afterward I even wondered why we had even spent so much time, energy and money on this..
At 7 AM the next morning my phone rang, it was that Magnus and I felt a tremendous sense of relief when I couldn’t detect any anger in it. Turns out he was spending the day with his wife and children at Disney Land Paris, they were having a good time, and he wasn’t blaming us (too much). He pointed to some critical factors that may have caused problems, mainly, they had made the decision to switch to 24mm tires the night before the race as conventional wisdom held that in the dry, these narrow tires were faster. 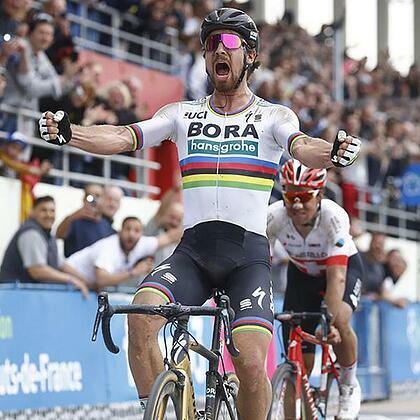 He soothed my worries by pointing out that he was more than 1 stone above his weight of last Roubaix (14 pounds..I had to look it up at the time) and that he didn’t blame us entirely thinking that the tires were a mistake since the testing was all done on 28mm. He also was the first to let me know that Martijn Maaskant a young pro with the team had finished 4th on a pair of 202’s which were not anything special we had produced for the race, he suggested we look at the dynamics of those wheels as Martijn was really happy with them! The significance of this conversation cannot be overstated, in 24 hours we had gone from the terrible people who cost Magnus his race to learning the other side of the story that we had the first carbon wheel to ever finish in the velodrome at Roubaix, and it was nearly on the podium! The lessons learned from those 202’s with 28mm Dugast tires would pave the path to a total rethink of team wheel, tire pressure and tire management, a rethink of rim geometry, tire/rim aerodynamics, tire/rim interface and ultimately Paris-Roubaix race strategy. PART 3: We Just Invented the Future! The podium and 4th place for Thor and Roger at the 2009 Roubaix had been a real rush for the team, we were truly thrilled, but at the same time it felt like the learning had just begun. Not much about this type of engineering is very glamorous, looking back on it I realize now that all of these stories sound rather romantic, but being there at the time reminds me of that old joke about flying where the punchline is something like 'long periods of boredom interspersed with moments of shear terror.' Much of the time spent with the teams is spent cleaning things, fixing things, replacing things, and preparing for other things. It's non-stop work making sure that every single detail is covered, every bolt is tight, every tire is perfect and while enjoyable it generally isn't very exciting. Riding in the team car at Roubaix is a truly bone shaking and mind numbing experience, the roads are narrow, the riders are far ahead of you and there is no way for the cars to get past each other in the Pave sections so it makes for hours spent listening intently to race radio (in French) to hear who had a flat, needs a bottle or when crashes occur. Every single puncture or crash announcement comes with a massive adrenaline rush, 'Oh $@#$ it is OUR guy? Is it OUR product?! Is it a wheel failure?..' Everybody experiences the same, the mechanics are thinking 'It is something I did (or didn't do)?!?!' the environment is unbelievably stressful, and unlike most races, you have these long periods where you can't get to them quickly..
Our biggest excitement from 2009 was tiny cracks in rims as well as some pretty serious tire cuts AFTER the race. These evoke that certain kind of fear about things that could have or might have happened, but like a scary movie you've seen before, the ultimate outcome is known already. So 2009 was mostly boredom during the race itself, with the fear happening before and after the event. On the technical side, all of these emotions are really a mixed bag. The problem for the engineers is that you NEED to see failures in order to understand how and where to improve, but at the same time, you need to see them before the event an not during.. Yet, looking at the speed and power data, there is just nothing you can do in training or race prep that comes even close to the real thing, so technically, nothing you do in testing is going to come close to the real thing.. These are truly amazing numbers, and as you can imagine not something you get in training runs. We even tried motor pacing riders onto the Pave..but nothing matches the adrenaline and quite honestly the terror of running this stretch in th actual race! The opposite of all that race adrenaline are the hours spend measuring the rate at which tires weep air, or impact testing tires and rims at a range of different pressures and sizes. The end result of this was a matrix of pressures and tire sizes to render equivalent spring rate. We will publish something similar in an upcoming technical paper on tires, but for the team's purposes this became an invaluable tool to ride tuning. Thanks to Roger Hammond (who is not just one of the greatest english speakers and hard-men ever to ride the Pave, but is also a mechanical engineer) we would spend the run up to 2010 Roubaix evaluating the leak-down rate of the team tires while also convincing them to go ever wider! Turns out that a tubular tire with latex tube will lose 0.5-1.5psi per hour, which over a 7+ hour period (figure the race will be ~6:30 and the mechanics have to have the bikes ready at least 30 minutes before the start). This turned out to be a very critical aspect of pressure optimization and planning as the comes some 4 hours after initial inflation and the nearly equally bad (but the riders are strung out and going slower..) section at the Carrefour de l'Arbre comes nearly two hours after Arenburg. We ran testing leading up to 2010 in the Carrefour de l'Arbre looking at the minimum allowable pressures for that sector and determined that those numbers would be used, plus the leak down rate to set the starting pressure. The wheels for the top riders were selected from the tires that had the lowest lead-down rates (near the 0.5psi per hour) and the numbers were written on the sidewalls to be sure and the race morning pressures were given to the mechanics with all of this factored in! During the week long run up to Roubaix, some of the riders, Fabian chief among them still had some doubts. Remember that he had won the event previously on the old-world wheels and tires and wasn't sure that he wanted or needed the new technology. This is understandable as the large tires and carbon wheels seemed to offer small benefits yet come with large risks. One of the problems is that riders really don't 'feel' aerodynamics while riding..this is true for all of us, you go hard, you go fast, there is nothing really to compare to. To try and demonstrate the benefits in the real world (the wind tunnel doesn't always 'feel' real). We did a test both on the cobbles and on a few pavement sections between some of the key sectors where it seemed an attack might be likely or where a rider might find himself isolated. The results were eye opening. With the larger tires, we found that the riders went faster over the Pave as pressure was reduced..until the point that the rim was bottoming out, and then the speeds reduced again. This is similar to the effect of why increasing air pressure can make you slower on rough roads, rather than the tires absorbing the imperfections in the road, the bike is being lifted or rather bounced over the bumps. A tire bottoming on the rim dramatically increases the spring rate of the system causing the bicycle to bounce off of the cobble which can cause loss of traction, discomfort and loss of speed. Coming out of the Pave portion of the testing the riders seemed to be truly sold on the larger tires once and for all. The 28mm tire in the low-mid 60psi range proved to be nearly 1km/hr faster than the 24mm tire with pressure in the mid 70 psi range (which is what is required to prevent bottoming the tire) when the data was normalized for rider power output. Moving on to the pavement testing, we had Fabian do some interval efforts on the new wheels and the old wheels to try and demonstrate the aero differences. The results even shocked our engineers! The traditional wheels with 24mm tires required 24-26 additional watts to go the same speed as the aero wheels with the 28mm tires! Finally, we had officially debunked the conventional wisdom that 24mm were 'faster'. This new data was worked into all of the computer simulation models and in many ways the overall picture was even more promising than just looking at small sectors of the race. During a Paris-Roubiax, the top riders are expected to burn 6,500-7,500 calories. The field data pointed to a 500+ calorie savings due to improved aerodynamics (remember, generally you aren't using aero to go any faster, it is buying you the same speed at a lower power). The analysis of the final 50km of the race pointed that the aero wheels would allow for an extended breakaway compared to the traditional wheels. One estimate was that using Fabian's previous data a 20km solo effort could work and with the new tires and wheels a 30 or possibly 40km final effort might be possible! Ultimately, races are not won on technology or computer screens. It's real people suffering at the edge of what's possible, making thousands of decisions per hour with fatigued minds and bodies. However, all of this data, technology, and testing started to swing the belief of these riders in the favor of technology. It felt as if the conventional wisdom was turning in our favor. I've seen over and over that riders who believe in something are more willing to commit to it, and it becomes a self-fulfilling prophecy. When you believe the thing is more comfortable, you fatigue slower. When you believe a tire has more grip, you will push it closer to the limit. When you feel that something gives you an advantage that nobody else has, you feel empowered to use it.. and so on. In many ways, all of this technological improvement led to the biggest improvement of all, which was that these athletes now had access to better equipment, but they were willing to optimize around that equipment, and were then able to come into the race knowing AND believing in what they had done. The beauty (not so much..) of being embedded with the team all week sweating all of the little details in the run up to Roubaix is that you get to fly home to the US on race day to be ready for work on Monday. I headed for the airport while the team headed to the race depart, knowing that every possible thing that could be done was done. Some nine hours later I landed in the US and turned on my phone as the plane taxied to the jetway. Nothing..and then suddenly, text after text and message after message of congratulations.. Fabian had ridden an unbelievable race. Funny enough, he attacked the lead group on the exact section of smooth road where we had done the power/aero testing during the week prior. You might remember that this was the attack that started the ridiculous rumor about him having a motor in the bike...the attack is simply phenomenal to watch! Speaking with him after the fact he had some really awesome things to say about that day, but most impressive was his mindset. He told us, 'I remembered what you said about the advantages of technology, I felt like I was on a time trial bike while everybody else was chasing me on equipment from the Eddy Merckx era..' which was something we had told the riders over and over. In the end, it wasn't an equipment advantage, but rather a technology and knowledge advantage that had translated into an incredible confidence and belief. Fabian has turned out to be thus far correct about he new technology. 2011 Roubaix was won on a Mavic Roubaix wheel nearly identical in all measurements to that original 2010 wheel. In 2012, 2013 and 2014 was won on again on the 2010 design wheel. Best of all, the frame makers during this time joined the trend and pushed tire clearance further. For 2014 the race was won on a 30mm rear / 28mm front tire and looking to 2015 we are working with more than half a dozen teams on gauges, pumps and other inflation related items and it is brilliant to see many of these teams running 30mm tires front and rear. The conventional wisdom has changed, and the riders will be faster, happier and less likely to suffer equipment issues on their fatter, lower pressure tires. Notes: I spent 15 years developing racing wheels at Zipp with the most amazing team of engineers and technicians imaginable. This story is about the teamwork between manufacturers, teams and athletes, but is more deeply a personal story reflecting my coming of age in understanding the importance of tire pressure optimization, the opportunity to improve pumps and gauges and ultimately the need to not just solve the technical problem, but also to educate and empower the mind so that athletes can not only make the best possible decisions, but can understand them and truly believe in them. 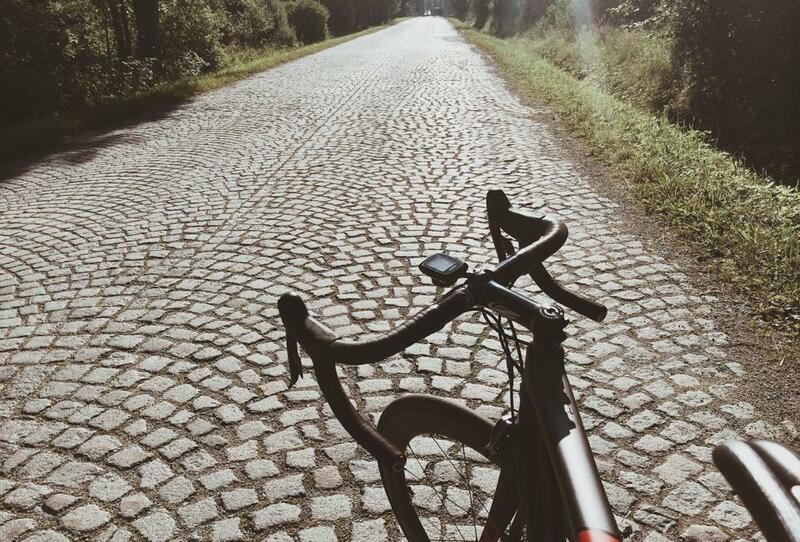 In many ways this Road to Roubaix was the first step in my buying and resurecting SILCA.